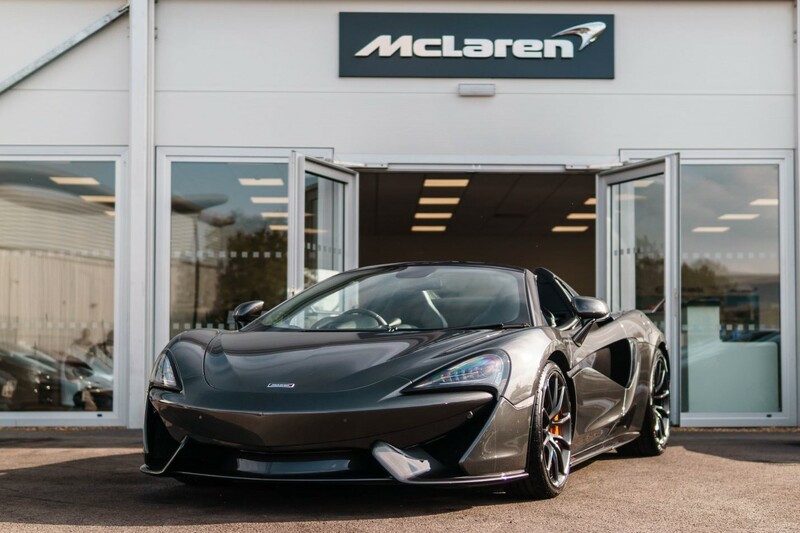 Here at Grange, we are pleased to stock McLaren Qualified, pre-owned McLaren cars — offering a chance for you to experience the most exhilarating drive of your life. 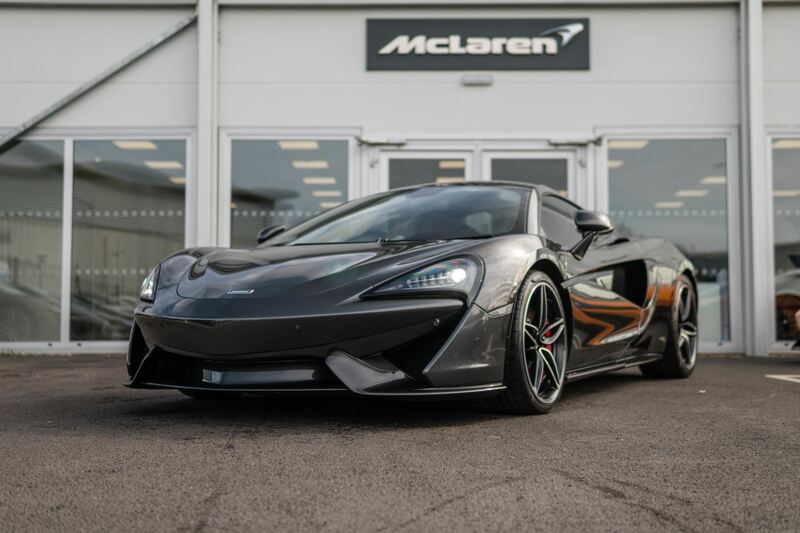 With used car models from the Super Series, such as the McLaren 650S Spider and Coupé, to the McLaren 570GT in the Sports Series and the ultimate McLaren P1; you can compare each model against each other for outstanding performance, extraordinary comfort, ultimate road presence, and more. 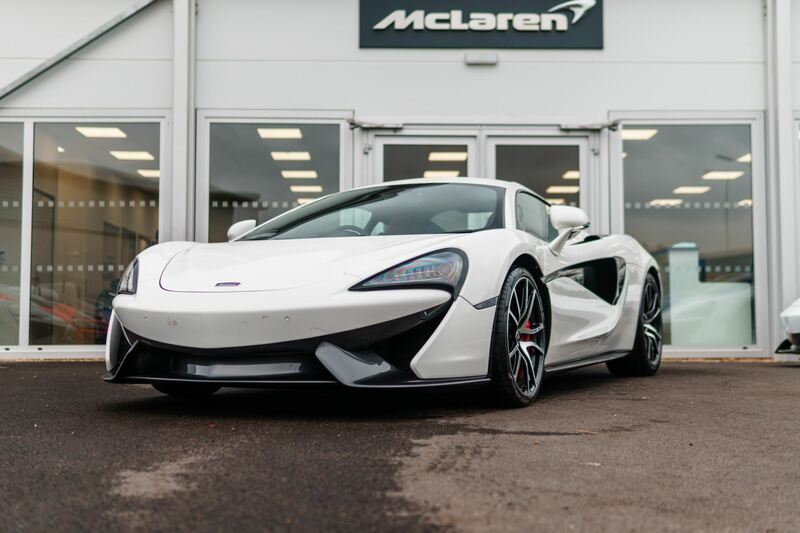 McLaren is known for its high quality and attention to detail throughout — our models are checked to ensure each and every inch of our used McLaren cars still meet the high standards of their engineers. 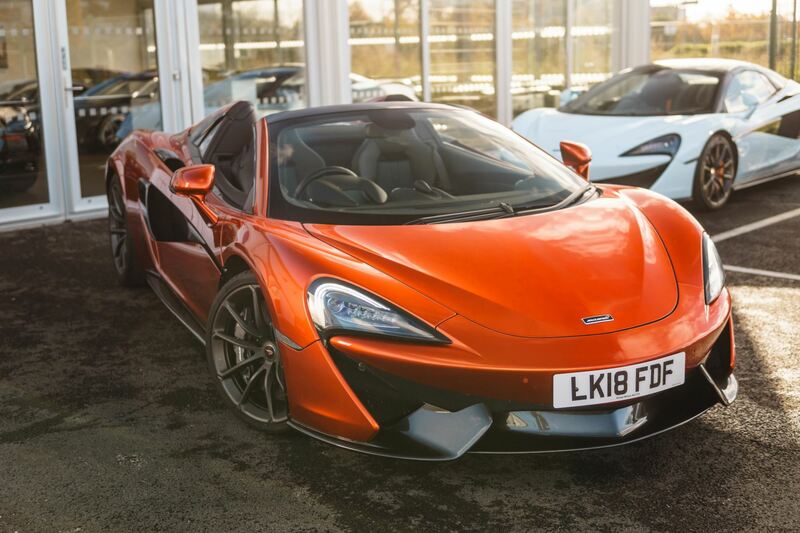 For any queries, or for information on pre-owned McLaren availability, please contact us or visit Grange McLaren Hatfield dealership. Stock will be arriving soon. 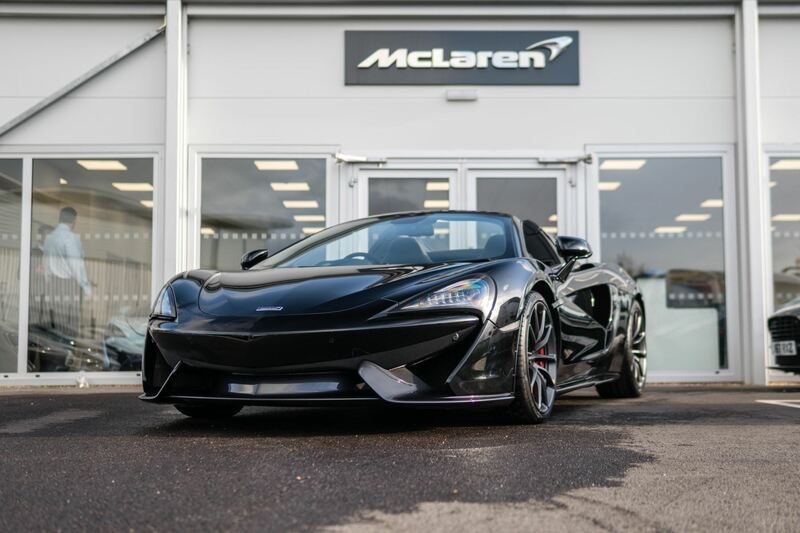 Buying your pre-owned McLaren from McLaren Hatfield provides you with the reassurance that your car has 'Qualified' - it has been thoroughly examined against the requirements of the experts that built it and has met every one. 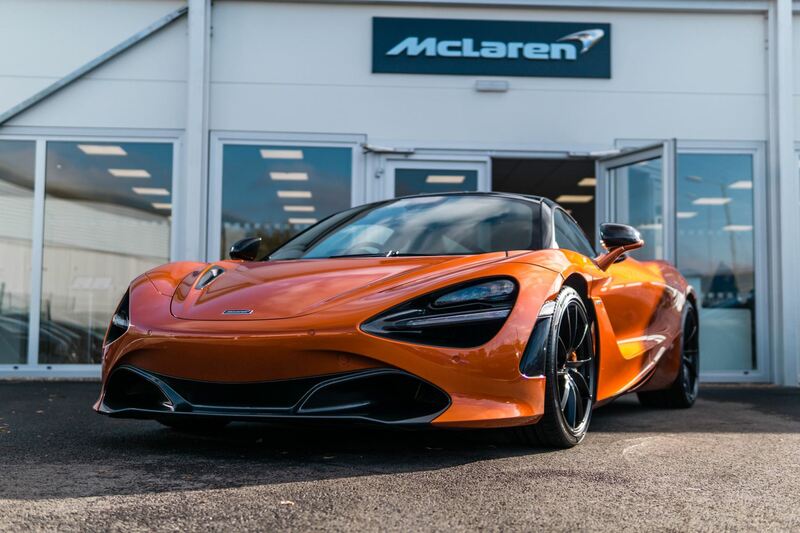 Furthermore, you can rest assured that it is not just the car that will meet McLaren's high standards but the entire purchasing and ownership experience. Stunning 570s in lovely condition, needs to be seen. A truly exceptional car waiting to be driven and enjoyed. A 2 private owner 570S Design Edition. 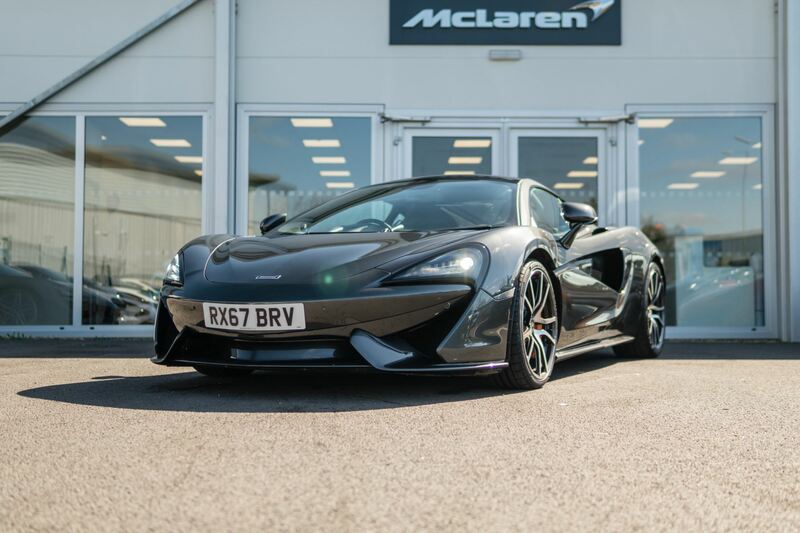 Huge list of cost options including the Luxury Pack, Power sports seats 8-way adjust, heated, memory ,Power adjust steering column, Bowers & Wilkins 12 speaker branded audio system Soft close doors, McLaren branded floor mat set. The car also includes the Security pack which gives you Vehicle lift, Rear view camera, Front and rear parking sensors Volumetric alarm upgrade and Car cover. This immaculate car is painted Storm Grey and has a beautiful Carbon Black an Apex red interior, 5 twin spoke lightweight diamond turned alloy wheels and red brake calipers. A superb car priced exceptionally well. 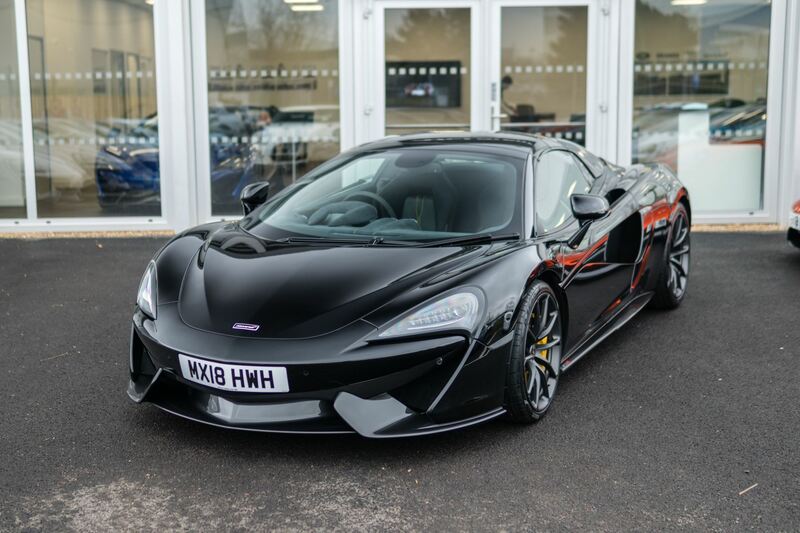 This car is in stock at McLaren Hatfield. 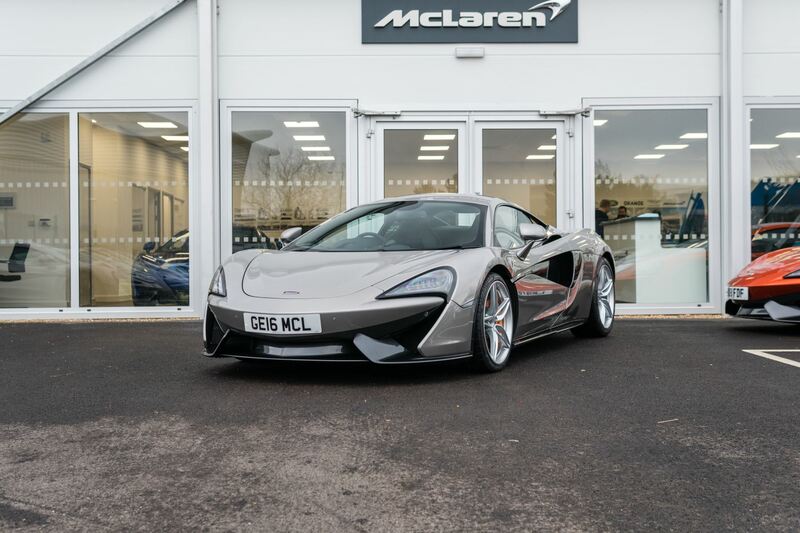 McLaren Qualified Commitment, buying your pre-owned McLaren provides you with the reassurance that your car has 'Qualified' - it has been thoroughly examined against the requirements of the experts that built it and has met every one. The specification on this Spider is superb and includes Luxury pack and security pack. Superb condition car painted Storm Grey metallic. A truly exceptional car waiting to be driven and enjoyed. This Spider also benefits from the reminder of the manufacturer's warranty. You simply have to view this car to appreciate the depth and metallic content of the paint, such a beautiful colour and with all of the right cost options makes this car your summer toy. Luxury Pack which includes the amazing Bowers & Wilkins 12 Speaker Audio System as well as the Electric & Heated Memory Seats. Superb spec Performance model that includes 10-Spoke Super-Lighweight Forged Wheels, Vehicle Lift, Bowers & Wilkins 12-Speaker Audio System, Elite Paint Azores, Sport Exhaust and Primary Interior Components - Carbon Fibre. This car has a perfect service record. A McLaren Hatfield supplied car privately owned car in fantastic condition throughout. 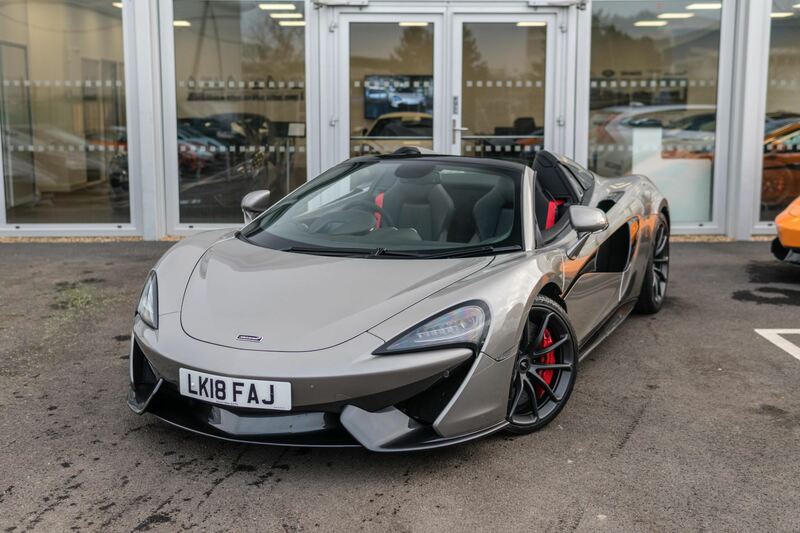 Discover qualified and approved pre-owned McLaren cars online at Grange - from Super Series models like the McLaren 650S Spider, 650S Coupe to the 675LT and more.